A selection of paintings from the distinguished collection of the artist Howard Hodgkin. 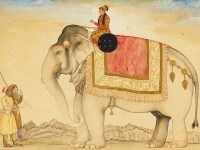 A caparisoned elephant is shown with a diminutive mahout, and a saddle-cloth and howdah in which a royal person would ride. 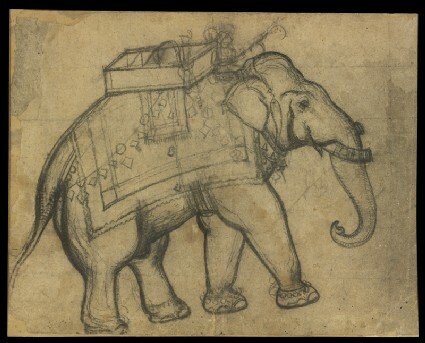 This charcoal sketch may have been drawn simply as an exercise, or as a preliminary under-drawing whose outlines would later have been carefully painted over in black. Surviving Indian drawings in charcoal are quite rare.